In The End of the Golden Weather, a classic stage play known to generations of New Zealand students, a young boy lives and struggles through a summer holiday in a small beachside township. Real life and imagination become intertwined for him as tensions rise and the social fabric is strained. I couldn’t help but be reminded of the flavour of this quintessential Kiwi drama as I began my journey into the fictional beachside world of Harikoa on Toromi Island, where the protagonist Tai is spending the summer with his grandparents. The story begins with an introductory scene about an old legend of four brothers and their quarrel on a fishing trip, resulting in Toromi Island being haunted and unsettled by their spirits to this day. This backstory is clearly inspired by the Maori myth of Maui and the Giant Fish, but the developer, Rainbite, has moulded a fresh story around the age-old theme of sibling rivalry. A few hints are dropped throughout the game about friction between Tai and his brothers, echoing the legend and their restless spirits. It’s a theme children, and grown-up siblings, will be able to identify with instantly; I always rejoice when I see PG-rated games that have appeal for both adults and youngsters alike and manage this balancing act without awkward compromises. It helps that Reverie - the very first production by a small indie team in Auckland - wisely sticks to a simple and clean style, both visually and narratively. 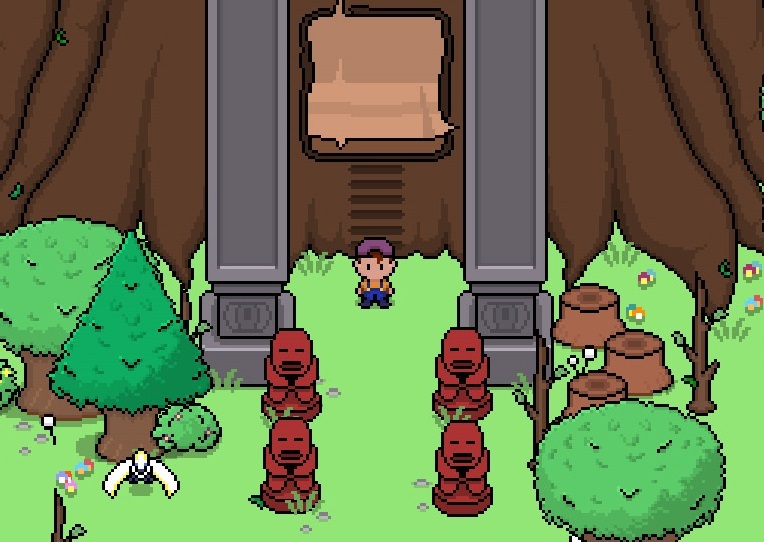 As so many other retro-inspired games, Reverie pays graphical homage to Earthbound and emphasises puzzle-infested dungeons strongly reminiscent of The Legend of Zelda. While it hews closely to these classic forebears, Reverie nevertheless manages to transcend the ‘Yet another Zelda clone’ paradigm through its complete immersion in Kiwi culture and environment. It is, quite simply, a love letter to growing up in New Zealand. However, the country has changed deeply from the pre-World War II days of The Golden Weather and its colonial outpost culture. Twenty-first century childhood now naturally embraces the bilingual status - the first sign Tai encounters upon his arrival on the island says “Haere mai, Welcome!” - and indigenous art and culture permeates all the layers of Tai’s imagination and supernatural encounters. Small design elements reinforce this sense of specificity: the tiny “koru” (fern spiral) symbol on the text boxes, the red-and-black HP bar evoking Maori artefacts. Kiwi players will feel right at home and delight in spotting every reference, whether fauna or flora. For everyone else, this is a heartfelt Haere Mai! to a tiny place in the South Pacific that is finally embracing its own voice and identity. The centre of Harikoa township proudly flies two flags: one representing the “pakeha” (European) immigrants and the other the Maori tribes. This game is stuffed to the gills with Kiwiana - from how to twist the end of a kiwifruit (don’t try this at home!) to the classic Buzzy Bee toy. Many place names are redolent of history (Marsden, Janszoon), and I was excited to see one dungeon named after our protected biggest kauri tree: Tane Mahuta. But all this name-dropping would not signify a seagull’s droppings if the names didn’t lead us to inspired gameplay. The dungeons in particular are at the heart of Tai’s task to subdue the fractious spirits and negotiate a truce between the forces of nature and the island’s inhabitants. Here he has to traverse monster-riddled rooms in increasingly complex layouts, solving increasingly complex puzzles to gain keys to doors, new tools, and of course that one elusive gold key to access the dungeon boss and release its troubled spirit; for in Reverie, fighting is not about simply defeat or victory, it’s about understanding what happened in the past and letting go of anger. If there is one core idea that fuels this story, it’s “reconciliation”, and it makes the closing scene especially sweet and poignant. 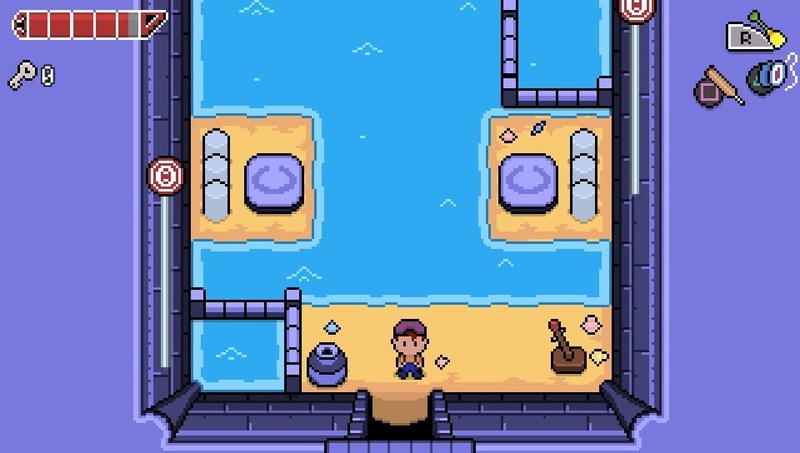 After the first small dungeon, in his grandparents’ basement, which serves to introduce the basic features of gameplay, Tai has to complete four dungeons in different parts of the island; I won’t spoil the pleasure of your first impressions since so much of the game’s impact relies on sensory surprises. 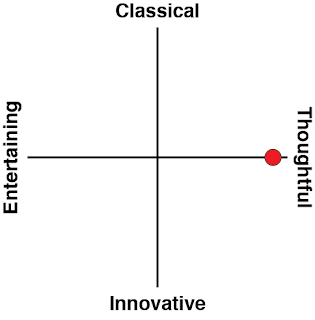 This is obviously not a big game and depending on your proficiency with puzzles you may find it quite short; for me it had just the right length because all the parts were balanced optimally, including the difficulty level. It may be a bit on the easy side for experienced Zelda operators, but I found the curve just right for a generally frustration-free playthrough. That last statement is code for: I got stuck on a couple of puzzles ... What I really wanted to do then is leave the dungeon, breathe the fresh air of Toromi Island, potter around to see if I could find those elusive kiwis or that missing native bird feather for my collection journal, chat with some locals and maybe indulge at the arcade in a game of StarBlazer, a maddeningly more-ish side-scrolling shmup mini game. There is another mini game you’ll stumble across featuring a microwave with attitude. Seriously, Reverie is just jam-packed with so many inventive and downright funny cameos and treats. The NPCs don’t issue stodgy statements, they all contribute something typically Kiwi that will raise a smile. You better make the most of your time gallivanting around the isle, though, for once you’re inside a dungeon, there’s no exiting until it’s completed. In the later dungeons you’ll maybe regret not stocking up with some healing items from the ‘dairy’ (Kiwi-speak for a convenience store), but you won’t ever be stuck in the overworld which is generously stocked with restorative pizza slices as you yo-yo and bat your way towards your next discovery. I enjoyed the exploration side of the game so much that I soon noticed that the folks you come across repeat the same lines all the time (exception: a couple of side quests), regardless of how much progress you’ve made and what had happened. Even more disappointing was that Tai’s grandparents never changed their tune, even after he returned from yet another dangerous mission. Grandpa’s character had started so promisingly, regaling Tai with tall tales and sending him to fetch “an old book” from the basement. I had half expected, certainly hoped, that there would be just a few more back story nuggets offered after each dungeon dive. Here was a character - the garrulous and knowledgeable Grandpa - practically begging to be let into the limelight. The story of Reverie is told with great economy and a wonderful eye for telling detail; maybe it’s a sign of how much I liked the game world that I hankered after a bit more character detail and story elements. 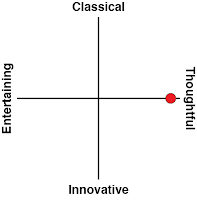 You see, I’m not just all rose-tinted Kiwi spectacles, but this is really the only substantial criticism I have of Reverie. 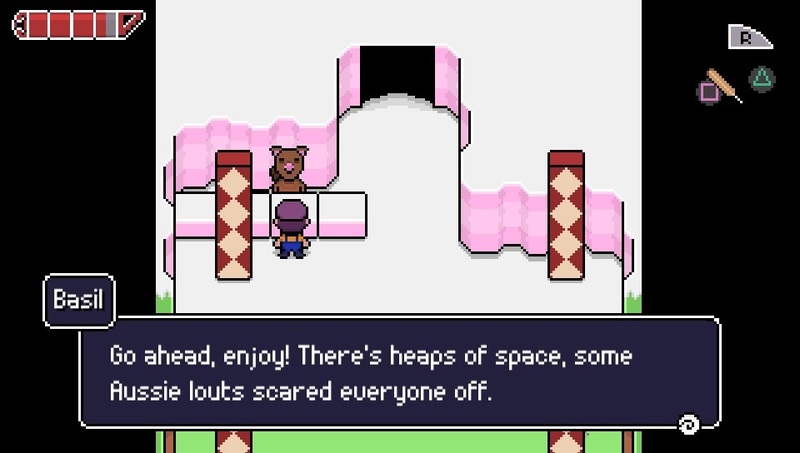 There are some very minor niggles, such as the language selection coming up every time you start the game, and I would have liked a zoom-in option for the rather cramped overworld map. Oh, and a proper face for Crumpy would be choice, mate. Reverie is a small gem. It was made specifically for the PlayStation Vita and it shines on Sony’s handheld console. From the moment the eerie, ghostly music for the title page sets the mood, to the last cheery notes of the credits, I was enchanted by each discovery I made and many puzzles elicited that typical response, “ah, of course - seems so simple now that I’ve solved it!” The dungeon designs in particular are thematically very coherent, and I loved how the bosses were mainly natural incarnations, not overblown monstrosities, yet nonetheless breath-catchingly impressive, sometimes also touched by tongue-in-cheek humour. Tai’s tools may comprise only a humble cricket bat, a yo-yo, a shovel, a dart gun, swimming goggles, and my favourite: a pet rock; but I was constantly surprised by the inventive ways I could utilise them both in battle and puzzles. With the main story concluded, you can continue to explore and collect to chase achievements and brave a bonus dungeon overflowing with all the weird and wonderful critters you encountered. Reverie is a game with Kiwi heart and soul, it is a love letter to New Zealand, to classic adventure puzzle games, and to childhood summers spent daydreaming being an explorer and hero. I can’t think of another New Zealand game developer who has made Kiwi culture such an integral part of their game’s essence, and I see Reverie as a forerunner, a flag bearer for including and celebrating cultural references that show what influences made us who we are, and in the process shaping richer games that confidently stand on the shoulders of past giants while giving the future a whirl.